Frank Pecorelli is a Partner in the Albertson office. Mr. Pecorelli is a trial attorney and has over twenty years experience successfully trying cases before the State and Federal Courts of New York. Mr. Pecorelli heads ADM's Nassau County team. 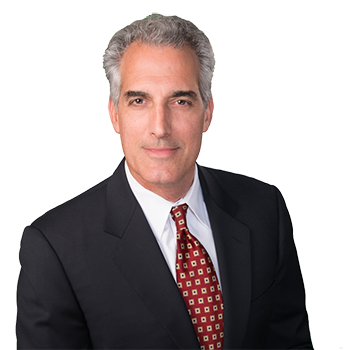 He is responsible for handling high exposure defense cases involving product liability claims, automobile accidents, premises liability, claims against municipalities, negligence and breach of contract claims as well as complex cases involving construction site accidents and violations of the New York Labor Law. Mr. Pecorelli helped develop the Firm's in-house Continuing Legal Education program, which has been approved by the New York State Continuing Legal Education Board. He actively continues in that role. He has served as a lecturer on many topics, including products liability and trial practice. Outside of ADM, Mr. Pecorelli has served as a member of the Grievance Committee of the Bar Association of Nassau County. He was the recipient Court Officer's Benevolent Association Jurisperitus Award in 2003.